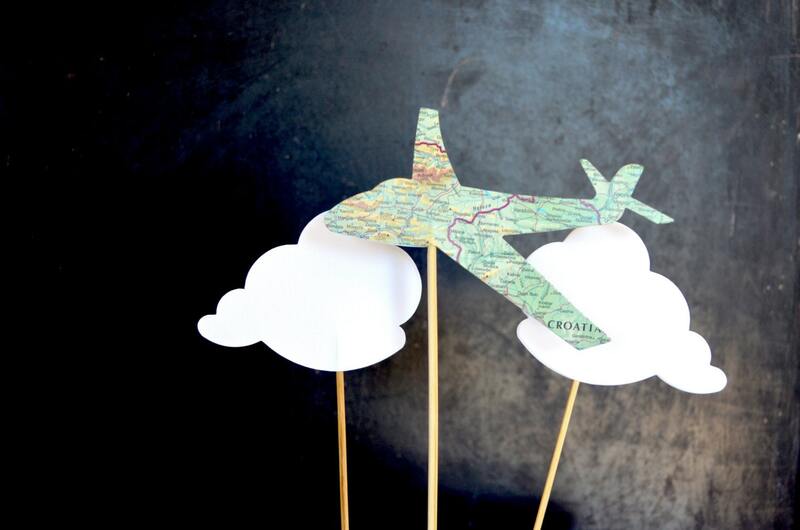 These Airplane and Cloud cake toppers will make your party soar! 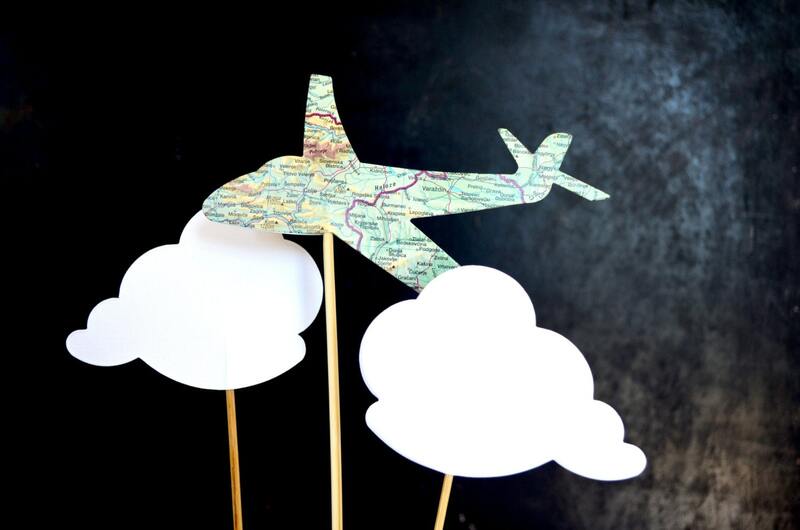 Each pick is made using airplanes cut from vintage map paper (or solid color cardstock - your choice) and the clouds are made from heavyweight white cardstock. The picks are double sided (so that there isn't front or back - they look amazing from every angle!). 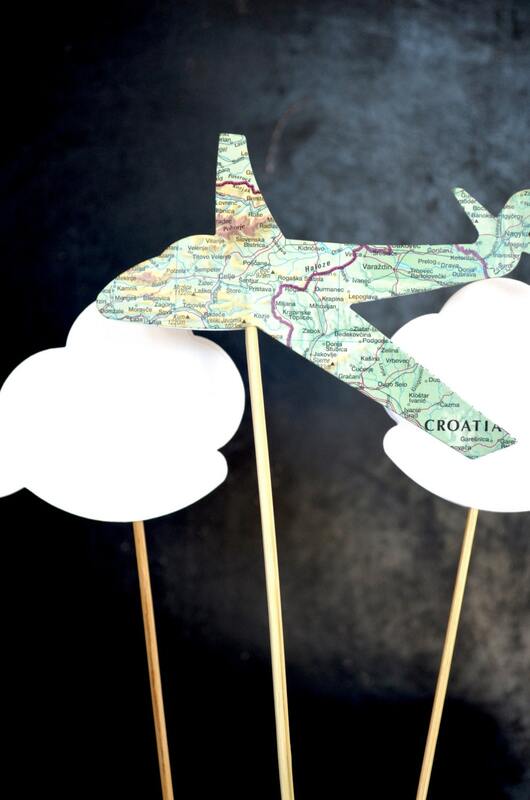 Each paper plane is 6" (15cm) across and the clouds are 4 1/4" (10.75cm) across. We attach the cake toppers on 8" tall bamboo poles. 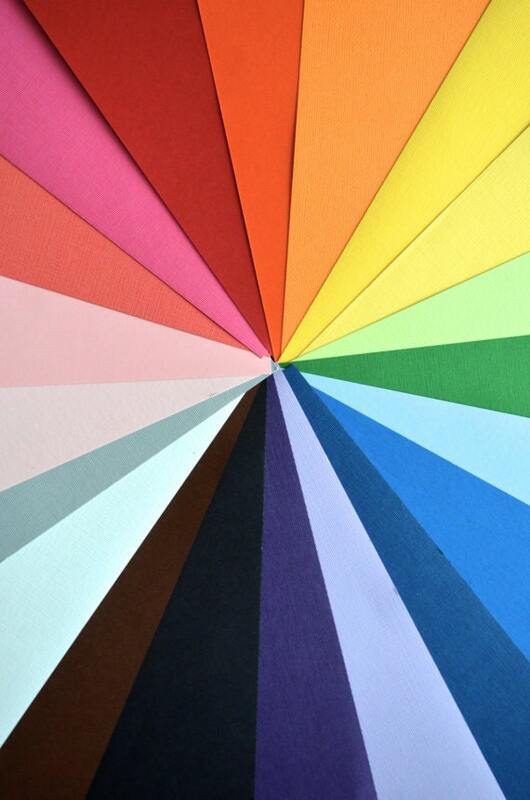 Are you looking for a different quantity or different colors? Send us a note and we'll get a custom listing set up for you - we love custom orders! 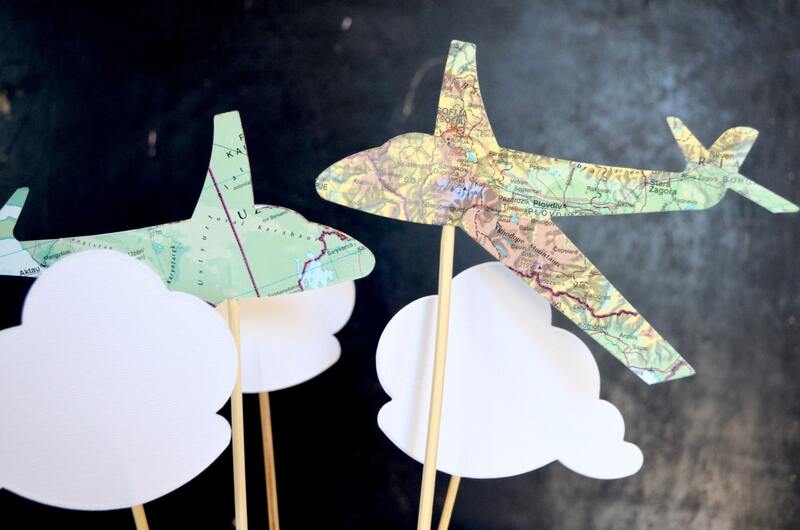 Pair these airplanes with our cloud cupcake toppers https://www.etsy.com/listing/130722251/cloud-cupcake-toppers-12-pieces?ref=listing-14, the matching cupcake wrappers https://www.etsy.com/listing/200239274/vintage-map-cupcake-wrappers-perfect-for?ref=shop_home_active_10 or the coordinating neutral wrappers https://www.etsy.com/listing/201834711/classic-scalloped-cupcake-wrappers-the?ref=shop_home_active_14 for a delightful display at your next party! Great quality! Will use this shop again! !